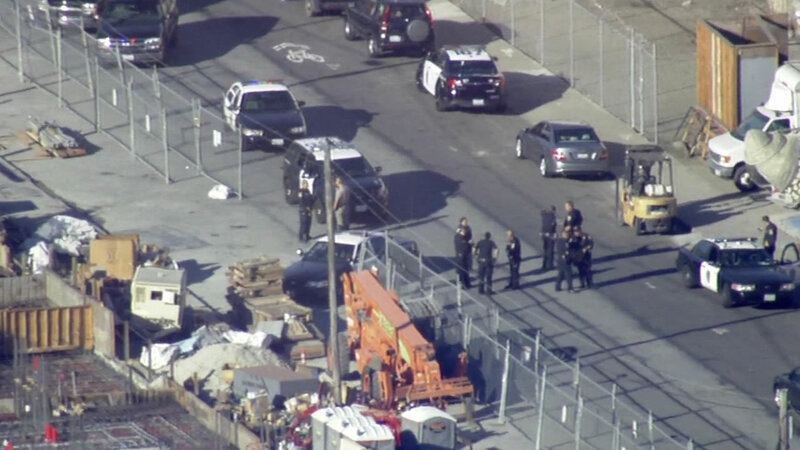 SAN FRANCISCO -- A San Francisco SWAT team took four suspects into custody this evening in San Francisco's Potrero Hill neighborhood and no injuries have been reported, according to police. Officers said a male suspect bailed from a vehicle at 3:23 p.m. near the Mariposa Street on- and off-ramps to Interstate Highway 280, near Indiana Street. Police searched the area for additional suspects and closed the Mariposa Street ramp to Highway 280. Commuters were encouraged to avoid the area due to heavy traffic as a result of police activity. As of 5:25 p.m., roadways and highway access ramps were being reopened after the conclusion of the search, according to police. San Francisco police said one of the suspects was wanted in connection with a case in Oakland, but they have not publicly released his identity.
.@SFPD Four suspects in custody. #SFPD breaking down search perimeter. Streets re-opening shortly.
.@SFPD searching for additional suspects.
.@SFPD One Suspect taken into custody by #SFPD #SWAT. #SFPD activity at Mariposa St On/Off Ramp by Indiana St. Heavy Traffic, avoid area if possible.